Being arrested and facing a Criminal accusation is life altering. Your future, your freedom, your reputation and your livelihood are all at risk of being taken away from you. At the Law Offices of Ruben Ortiz, we know how important it is for us to find a way to win your case. 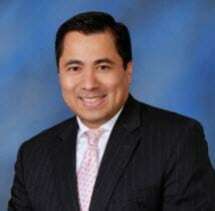 Attorney Ruben Ortiz has been fighting for his clients inside the courtroom on a daily basis as of May 1998. We have been representing our clients in all of the courtrooms here in El Paso County. You can gain peace of mind knowing that you will not only have an experienced attorney with a winning track record on your side, but you will also have an El Pasoan who understands how important it is for you and your family to get these charges dismissed whenever possible and how important it is for you to win your case. Our Award Winning Senior Managing Attorney takes every case seriously, always seeking to win your case prior to going to trial. At the Law Offices of Ruben Ortiz, we believe that everyone should be able to afford the Best Representation possible, which is why we offer a free initial consultation and affordable payment plans for all Criminal Defense cases, whether it is a DWI/DUI, Family Violence Assault, Aggravated Assault, Theft, Possession of Marijuana/Cocaine or any other drug, or a serious Felony case in State or Federal Court. Call 915-206-4486 to schedule your free initial consultation to discuss your case with Ruben Ortiz, face to face.